Another PML-N leader was arrested in Faisalabad’s Tandliawalan neighbourhood during a police crackdown. Former MPA Jaffer Hocha was arrested while he and other party workers were preparing to leave for Lahore to welcome former prime minister Nawaz Sharif back to Pakistan. When the dozens of workers who were with him protested against the police action, the law enforcers beat them up. Some workers were also arrested. PML-N leader Khawaja Asif’s convoy was stopped in Sialkot. Police also raided the office of former PML-N MPA Imran Zafar and arrested a number of party workers in Gujarat. The workers have been shifted to an undisclosed location. 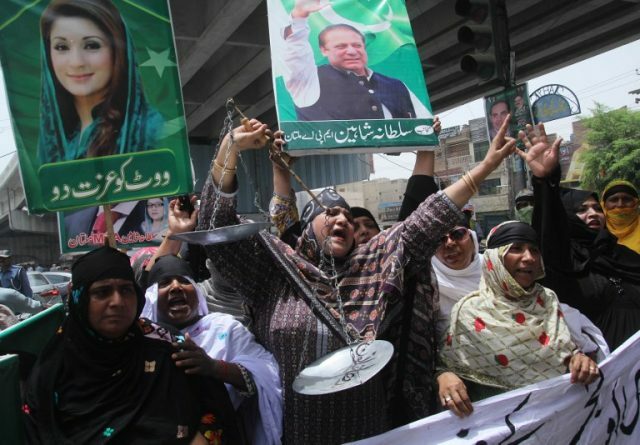 A number of PML-N workers gathered at the office after the raid and shouted slogans against the caretaker government. Zafar is the nephew of PML-N’s Gujarat mayor Haji Nasir Mehmood. Police arrested Mehmood Thursday night. He is still in custody. The workers said they will reach the Lahore airport to receive their leader come what may. Separately, the Punjab police have surrounded the house of PML-N leader and former minister Balighur Rehman in Bahawalpur. They have locked his house from the outside. “If he steps out of the house, he will be arrested,” said the police. 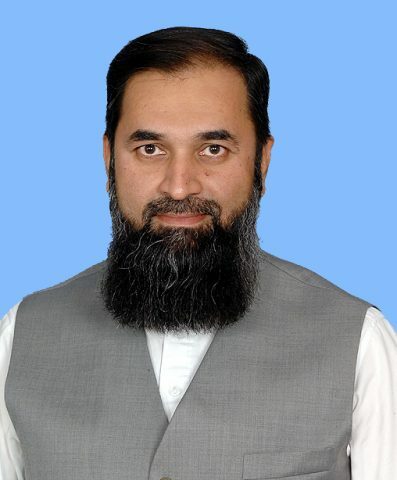 The PML-N candidate for PP-294, Sardar Hassam Javed Gorchiani, has been placed under house arrest along with his brother. He was going to lead a motor rally with 30 vehicles to join the Sharifs’ homecoming rally in Lahore. Another 100 PML-N workers have been placed under house arrest in Rajanpur. Heavy contingents of police and Rangers have been deployed at all the entry and exit points of Lahore. The caretaker government in Punjab has intensified the crackdown against the PML-N ahead of the Sharifs’ homecoming rally. Former PM Nawaz and his daughter, Maryam Nawaz, will return to Pakistan at 6:15pm on Friday. They have announced that they will address a rally in Lahore, after which they will surrender. An accountability court has awarded 10 years to Nawaz and eight to his daughter in the Avenfield corruption reference verdict. Former Punjab CM Shehbaz Sharif, who is also Nawaz’s brother and president of PML-N, will lead the rally from Lohari Gate at 3pm. He has urged upon all party workers to join the rally. On the other hand, the caretaker government has announced that the father-daughter duo will be arrested from the airport once they land. They will not be allowed to roam around, said Interim Information Minister Ali Zafar. Until Thursday, the interim government had arrested over 300 PML-N workers under the Maintenance of Public Order Ordinance ahead of the former PM’s expected arrival. Containers have been in place on the roads to prevent party workers from joining the rally. Acting Lahore High Court Chief Justice Anwaarul Haq remarked that all the PML-N workers who were arrested illegally should be released. During a hearing on Friday on the arrest of the PML-N workers, the home secretary informed the court that 141 people were taken into custody under the Maintenance Public Order Ordinance. The judge said that this is a caretaker setup and the self-respect of the people has to be ensured. The acting chief justice ordered the authorities to only arrest those who pose a threat. “Don’t create an impression that only a specific party is being targeted,” he said. He summoned a list of arrested PML-N workers by 2pm.